Al MansooreenCarlos Ortiz, Private Armed Forces and Global Security: A Guide to the Issues (Santa Barbara, CA: Praeger, 2010), 181. Al MansoorianCarlos Ortiz, Private Armed Forces and Global Security: A Guide to the Issues (Santa Barbara, CA: Praeger, 2010), 181. Army of Madinah“Lashar-e-Taiba (LeT),” Terrorism Research and Analysis Consortium (TRAC), accessed April 13, 2015, http://www.trackingterrorism.org/group/lashkar-e-taiba-let. Army of the PureCarlos Ortiz, Private Armed Forces and Global Security: A Guide to the Issues (Santa Barbara, CA: Praeger, 2010), 181. Army of the Pure and RighteousCarlos Ortiz, Private Armed Forces and Global Security: A Guide to the Issues (Santa Barbara, CA: Praeger, 2010), 181. Army of the RighteousCarlos Ortiz, Private Armed Forces and Global Security: A Guide to the Issues (Santa Barbara, CA: Praeger, 2010), 181. Deccan Mujahideen“Lashar-e-Taiba (LeT),” Terrorism Research and Analysis Consortium (TRAC), accessed April 13, 2015, http://www.trackingterrorism.org/group/lashkar-e-taiba-let. Falah-i-Insaniat Foundation (FIF)“Lashar-e-Taiba (LeT),” Terrorism Research and Analysis Consortium (TRAC), accessed April 13, 2015, http://www.trackingterrorism.org/group/lashkar-e-taiba-let. Idara Khidmat-e-Khalq“Lashar-e-Taiba (LeT),” Terrorism Research and Analysis Consortium (TRAC), accessed April 13, 2015, http://www.trackingterrorism.org/group/lashkar-e-taiba-let. Islamic Jammat ud Dawa“Lashar-e-Taiba (LeT),” Terrorism Research and Analysis Consortium (TRAC), accessed April 13, 2015, http://www.trackingterrorism.org/group/lashkar-e-taiba-let. Jamaat ud-DawaCarlos Ortiz, Private Armed Forces and Global Security: A Guide to the Issues (Santa Barbara, CA: Praeger, 2010), 181. Lashkar e-TayyibaJayshree Bajoria, “Lashkar-e-Taiba (Army of the Pure) (aka Lashkar e-Tayyiba, Lashkar e-Toiba; Lashkar-i-Taiba),” Council on Foreign Relations, last modified January 14, 2010, http://www.cfr.org/pakistan/lashkar-e-taiba-army-pure-aka-lashkar-e-tayyiba-lashkar-e-toiba-lashkar--taiba/p17882. Lashkar-e-ToibaCarlos Ortiz, Private Armed Forces and Global Security: A Guide to the Issues (Santa Barbara, CA: Praeger, 2010), 181. Lashkar-i-TaibaCarlos Ortiz, Private Armed Forces and Global Security: A Guide to the Issues (Santa Barbara, CA: Praeger, 2010), 181. LT“Lashkar-e-Tayyiba (LT),” National Counterterrorism Center Counterterrorism 2014 Calendar, accessed July 3, 2015, http://www.nctc.gov/site/groups/let.html. Movement for the Safeguarding of the First Center of Prayer“Lashar-e-Taiba (LeT),” Terrorism Research and Analysis Consortium (TRAC), accessed April 13, 2015, http://www.trackingterrorism.org/group/lashkar-e-taiba-let. Paasban-e-Ahle-HadisCarlos Ortiz, Private Armed Forces and Global Security: A Guide to the Issues (Santa Barbara, CA: Praeger, 2010), 181. Paasban-e-KashmirCarlos Ortiz, Private Armed Forces and Global Security: A Guide to the Issues (Santa Barbara, CA: Praeger, 2010), 181. Paasban-i-Ahle-HadithCarlos Ortiz, Private Armed Forces and Global Security: A Guide to the Issues (Santa Barbara, CA: Praeger, 2010), 181. Pasban-e-Ahle-HadithCarlos Ortiz, Private Armed Forces and Global Security: A Guide to the Issues (Santa Barbara, CA: Praeger, 2010), 181. Pasban-e-KashmirCarlos Ortiz, Private Armed Forces and Global Security: A Guide to the Issues (Santa Barbara, CA: Praeger, 2010), 181. Tehreek-e-Tahafuz Qibla Awal“Lashar-e-Taiba (LeT),” Terrorism Research and Analysis Consortium (TRAC), accessed April 13, 2015, http://www.trackingterrorism.org/group/lashkar-e-taiba-let. 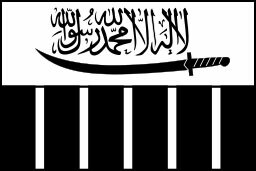 Lashkar-e-Taiba (LeT), meaning “Army of the Pure,” is a violent Islamist group based in Pakistan.“Lashkar-e Taiba,” American Foreign Policy Council’s World Almanac of Islamism, April 11, 2018, http://almanac.afpc.org/lashkar-e-taiba. Since its formation in the 1990s, LeT has carried out numerous attacks against military and civilian targets in India, particularly within the northern state of Jammu and Kashmir.“Lashkar-e-Taiba,” South Asian Terrorism Portal, accessed December 4, 2018, http://www.satp.org/satporgtp/countries/india/states/jandk/terrorist_outfits/lashkar_e_toiba.htm. The group received significant international attention for its alleged involvement in the 2008 Mumbai attacks, which claimed the lives of 166 individuals and injured more than 300 others.Stephen Tankel, “Ten Years After Mumbai, The Group Responsible Is Deadlier Than Ever,” War on the Rocks, November 26, 2018, https://warontherocks.com/2018/11/ten-years-after-mumbai-the-group-responsible-is-deadlier-than-ever/; Shanthie Mariet D’Souza, “Mumbai terrorist attacks of 2008,” Encyclopaedia Britannica, November 19, 2018, https://www.britannica.com/event/Mumbai-terrorist-attacks-of-2008. LeT finds its roots in the Pakistani Islamist group Markaz-ad-Dawa-wal-Irshad (MDI), which was founded in 1989 by Abdullah Azzam, Osama bin Laden’s religious mentor.“Lashkar-e Taiba,” American Foreign Policy Council’s World Almanac of Islamism, April 11, 2018, http://almanac.afpc.org/lashkar-e-taiba; Jayshree Bajoria, “Profile: Lashkar-e-Taiba (Army of the Pure) (a.k.a. Lashkar e-Tayyiba, Lashkar e-Toiba; Lashkar-i-Taiba),” Washington Post, December 5, 2008, http://www.washingtonpost.com/wp-dyn/content/article/2008/12/05/AR2008120501582.html. In the early 1990s, MDI militants—who had fought alongside the Taliban at the end of the Soviet-Afghan War—shifted the focus of their operations to Jammu and Kashmir and established LeT.Animesh Roul, “Jamaat-ud Daawa: Into the Mainstream,” CTC Sentinel, 8, 4 (April 2015): p. 23, https://ctc.usma.edu/app/uploads/2015/04/CTCSentinel-Vol8Issue48.pdf. According to a LeT pamphlet, the group’s activities in Jammu and Kashmir are part of a broader goal to re-establish Islamic rule in India and other historically “Muslim lands”: “all of India […] were part of the Muslim empire that was lost because Muslims gave up jihad…. it is our duty to get these back from the unbelievers.”Cited in Rashad Ali and Hannah Stuart, “A Guide to Refuting Jihadism: Critiquing radical Islamist claims to theological authenticity,” Henry Jackson Society, January 2014, p. 26, http://henryjacksonsociety.org/wp-content/uploads/2014/02/Refuting-Jihadism.pdf. LeT has targeted Indian security forces, political leaders, and other state symbols in fidayeen attacks, direct assaults carried out by two-to-four well-armed militants. The group has also carried out a number of massacres targeting Hindus, Sikhs, and other ethnic and religious minorities in Jammu and Kashmir.“Lashkar-e Taiba,” American Foreign Policy Council’s World Almanac of Islamism, April 11, 2018, http://almanac.afpc.org/lashkar-e-taiba. After receiving serious pressure from the U.S. government to crack down on jihadist groups operating within its borders in the wake of the 9/11 attacks, Pakistan officially banned LeT in January 2002.Stephen Tankel, “Lashkar-e-Taiba: Past Operations and Future Prospects,” New America Foundation, April 2011, https://www.newamerica.org/documents/891/lashkar-e-taiba; Ashley J. Tellis, “The Menace That Is Lashkar-e-Taiba,” Carnegie Endowment for International Peace, March 2012, http://carnegieendowment.org/files/LeT_menace.pdf. However, members of LeT quickly reappeared as part of a new entity known as Jamaa-ul-Dawa (JuD). Due to a perception that the group could be of continuing use to Pakistan, which has long disputed India’s control over Jammu and Kashmir, LeT has reportedly been given ongoing clandestine support by elements of the Pakistani military and intelligence services.Stephen Tankel, “Lashkar-e-Taiba: Past Operations and Future Prospects,” New America Foundation, April 2011, https://www.newamerica.org/documents/891/lashkar-e-taiba; Stephen Tankel, “Ten Years After Mumbai, The Group Responsible Is Deadlier Than Ever,” War on the Rocks, November 26, 2018, https://warontherocks.com/2018/11/ten-years-after-mumbai-the-group-responsible-is-deadlier-than-ever/. JuD and other above-ground LeT-front organizations provide extensive social welfare, medical, and educational services in Pakistan. Through such activities, LeT has expanded its support base in Pakistan and raised funds for its paramilitary operations.Stephen Tankel, “Lashkar-e-Taiba: Past Operations and Future Prospects,” New America Foundation, April 2011, https://www.newamerica.org/documents/891/lashkar-e-taiba. LeT is also reportedly attempting to progress its goals in Jammu and Kashmir through Pakistan’s political system. The group is believed to be behind the Milli Muslim League Pakistani political party, which was established in August 2017.Madeeha Anwar, “US Designates Pakistani Party Milli Muslim League as ‘Terrorists’,” Voice of America, April 3, 2018, https://www.voanews.com/a/us-designates-pakistan-party-milli-muslim-league-terrorists/4331538.html. Although Jammu and Kashmir remains the primary operational focus of LeT, the group has become increasingly involved in the global jihadist movement. In the years following the 2001 U.S. invasion of Afghanistan, LeT reportedly provided refuge and training to al-Qaeda members in Pakistan, as well as fighters and weapons to the Afghan front.Stephen Tankel, “Lashkar-e-Taiba: Past Operations and Future Prospects,” New America Foundation, April 2011, https://www.newamerica.org/documents/891/lashkar-e-taiba; Stephen Tankel, “Lankshar-e-Taiba: From 9/11 to Mumbai,” The International Centre for the Study of Radicalisation and Political Violence, April/May 2009, http://ps.au.dk/fileadmin/site_files/filer_statskundskab/subsites/cir/pdf-filer/Tankel_01.pdf. The group has also allegedly formed sleeper cells to carry out or aid terrorism in Australia, Europe, and possibly the United States and has ties to other terrorist groups in Central and Southeast Asia.Ashley J. Tellis, “The Menace That Is Lashkar-e-Taiba,” Carnegie Endowment for International Peace, 5-6, March 2012, http://carnegieendowment.org/files/LeT_menace.pdf. LeT adheres to the Ahl-e-Hadith faith, a South Asian version of Salafism.Jasmin Lorch, “Trajectories of Political Salafism: Insights from the Ahle Hadith Movement in Pakistan and Bangladesh,” Middle East Institute, October 30, 2018, https://www.mei.edu/publications/trajectories-political-salafism-insights-ahle-hadith-movement-pakistan-and-bangladesh. Like al-Qaeda and other Salafist groups, LeT seeks to re-claim what it considers to be “Muslim lands.” According to the LeT publication Why Are We Waging Jihad?, “Muslims ruled Andalusia (Spain) for 800 years but they were finished to the last man. Christians now rule (Spain) and we must wrest it back from them. All of India […] were part of the Muslim empire that was lost because Muslims gave up jihad. Palestine is occupied by the Jews. The Holy Qibla-e-Awwal (First Center of Prayer) in Jerusalem is under Jewish control. Several countries such as Bulgaria, Hungary, Cyprus, Sicily, Ethiopia, Russian Turkistan and Chinese Turkistan… were Muslim lands and it is our duty to get these back from unbelievers.”Cited in Rashad Ali and Hannah Stuart, “A Guide to Refuting Jihadism: Critiquing radical Islamist claims to theological authenticity,” Henry Jackson Society, January 2014, p. 26, http://henryjacksonsociety.org/wp-content/uploads/2014/02/Refuting-Jihadism.pdf. In addition, LeT advocates the supremacy of the ummah (the global Muslim community) over any democratic or secular nation-state.Stephen Tankel, “Lashkar-e-Taiba: Past Operations and Future Prospects,” New America Foundation, April 2011, https://www.newamerica.org/documents/891/lashkar-e-taiba. Accordingly, LeT also seeks to liberate Muslim-majority countries, particularly those that surround Pakistan, that are under the dominion of non-Islamist governments.“Lashkar-e-Taiba,” South Asian Terrorism Portal, accessed December 7, 2018, http://www.satp.org/satporgtp/countries/india/states/jandk/terrorist_outfits/lashkar_e_toiba.htm. Although LeT is becoming increasingly involved with the global jihadist movement and has reportedly vowed to plant the “flag of Islam” in “Washington, Tel Aviv and New Delhi,” the group’s primary focus is on the Indian-administered Jammu and Kashmir.“Lashkar-e-Taiba,” South Asian Terrorism Portal, accessed December 4, 2018, http://www.satp.org/satporgtp/countries/india/states/jandk/terrorist_outfits/lashkar_e_toiba.htm; Stephen Tankel, “Lashkar-e-Taiba: Past Operations and Future Prospects,” New America Foundation, April 2011, https://www.newamerica.org/documents/891/lashkar-e-taiba. LeT does not support jihad in Pakistan on the basis that, because the country’s national religion is Islam, it has “professed Faith.”“Lashkar-e-Taiba: Past Operations and Future Prospects,” New America Foundation, April 2011, https://www.newamerica.org/documents/891/lashkar-e-taiba. Rather, the group focuses on promoting its interpretation of Ahl-e-Hadith in Pakistan through dawa (Islamic missionary work).Stephen Tankel, “Lashkar-e-Taiba: Past Operations and Future Prospects,” New America Foundation, April 2011, https://www.newamerica.org/documents/891/lashkar-e-taiba; Stephen Tankel, “Ten Years After Mumbai, The Group Responsible Is Deadlier Than Ever,” War on the Rocks, November 26, 2018, https://warontherocks.com/2018/11/ten-years-after-mumbai-the-group-responsible-is-deadlier-than-ever/. Unlike other Islamist groups operating in Pakistan, LeT believes that proselytizing is as strategically important as violent jihad in achieving its goals.“Lashkar-e-Taiba,” World Almanac of Islamism, October 2, 2013, last modified October 2, 2013, http://almanac.afpc.org/lashkar-e-taiba. LeT has developed a robust infrastructure within Pakistan. By 2000, the group had reportedly established more than 70 district offices and departments overseeing the group’s finances, dawa activities, media and propaganda, social welfare, and external affairs. The group had also established a department for the construction of mosques and madrassas, a department of education, and wings for doctors, teachers, and farmers, among other divisions.Stephen Tankel, “Lashkar-e-Taiba: Past Operations and Future Prospects,” New America Foundation, April 2011, https://www.newamerica.org/documents/891/lashkar-e-taiba. According to the Southeast Asia Terrorism Portal, LeT civil operations on a national scale include “16 Islamic institutions, 135 secondary schools, an ambulance service, mobile clinics, blood banks, and several seminaries across Pakistan.”“Lashkar-e-Taiba,” South Asian Terrorism Portal, accessed December 4, 2018, http://www.satp.org/satporgtp/countries/india/states/jandk/terrorist_outfits/lashkar_e_toiba.htm. Since LeT was banned in Pakistan in 2002, the group’s domestic activities have been coordinated by numerous LeT-front organizations, including Jamaat-ud-Dawa (JuD), Idara Khidmat-e-Khalq (IKK), and the Falah-i-Insaniat Foundation (FIF).Ashley J. Tellis, “The Menace That Is Lashkar-e-Taiba,” Carnegie Endowment for International Peace, March 2012, http://carnegieendowment.org/files/LeT_menace.pdf; Stephen Tankel, “Lashkar-e-Taiba: Past Operations and Future Prospects,” New America Foundation, April 2011, https://www.newamerica.org/documents/891/lashkar-e-taiba; “Addition of Aliases Jamaat-Ud-Dawa and Idara Khidmat-E-Khalq to the Specially Designated Global Terrorist Designation of Lashkhar-E-Tayyiba,” U.S. Department of State, April 28, 2006, http://2001-2009.state.gov/r/pa/prs/ps/2006/65401.htm; “Secretary of State’s Terrorist Designation of Falah-i-Insaniat Foundation,” U.S. Department of State, November 24, 2010, https://www.state.gov/j/ct/rls/other/des/266648.htm. LeT’s emir, Hafiz Muhammad Saeed, is also believed to be behind the Milli Muslim League Pakistani political party, which was established in August 2017.Madeeha Anwar, “US Designates Pakistani Party Milli Muslim League as ‘Terrorists’,” Voice of America, April 3, 2018, https://www.voanews.com/a/us-designates-pakistan-party-milli-muslim-league-terrorists/4331538.html. Through providing social welfare, educational, and medical services within Pakistan, LeT has expanded its support base within Pakistan. LeT funds such activities via donation boxes placed in shops throughout the country. In addition, LeT collects ushr, an Islamic land tax that requires farmers to donate 10 percent of their crops or income to charity.Stephen Tankel, “Lashkar-e-Taiba: Past Operations and Future Prospects,” New America Foundation, April 2011, https://www.newamerica.org/documents/891/lashkar-e-taiba; Syed Manzar Abbas Zaidi, “Profiling the Lashkar-e-Taiba,” South Asian Survey 16, no. 2 (2009): 331, http://citeseerx.ist.psu.edu/viewdoc/download?doi=10.1.1.841.1472&rep=rep1&type=pdf. LeT generates revenue through the group’s “legitimate” businesses, which include fish farms, agricultural tracts, and mobile clinics.Geoffrey Kambere et al., “The Financing of Lashkar-e-Taiba,” Combating Terrorism Exchange 1, no. 1 (2011), https://globalecco.org/ctx-v1n1/lashkar-e-taiba. LeT also raises funds through charging tuition fees for its schools and through selling jihadist material and other goods. A former LeT member revealed in an interview that sometimes LeT-affiliated merchants will ask buyers to pay an additional 5 to 10 Pakistani rupees “for the jihad.”Syed Manzar Abbas Zaidi, “Profiling the Lashkar-e-Taiba,” South Asian Survey 16, no. 2 (2009): 331, http://citeseerx.ist.psu.edu/viewdoc/download?doi=10.1.1.841.1472&rep=rep1&type=pdf; Stephen Tankel, “Lashkar-e-Taiba: Past Operations and Future Prospects,” New America Foundation, April 2011, https://www.newamerica.org/documents/891/lashkar-e-taiba. LeT has also utilized its international connections to solicit funds. The group has reportedly received donations from members of the Pakistani diaspora in Europe and the Persian Gulf and from clerics and other Saudi-based individuals who support the global jihadist movement.Stephen Tankel, “Lashkar-e-Taiba: Past Operations and Future Prospects,” New America Foundation, April 2011, https://www.newamerica.org/documents/891/lashkar-e-taiba. Through JuD, IKK, and other LeT-front organizations, the group has also collected donations abroad for disaster relief and other humanitarian purposes within Pakistan. The group has been known to divert money donated for charitable causes to fund its militant activities. Most notably, LeT is believed to have funneled money collected to support victims of a devastating 2005 earthquake in Pakistan to the individuals behind a failed plot to blow up a transatlantic flight in 2006.Stephen Tankel, “Lashkar-e-Taiba: Past Operations and Future Prospects,” New America Foundation, April 2011, https://www.newamerica.org/documents/891/lashkar-e-taiba. Findings from a study conducted by the Combating Terrorism Center at West Point indicate that the majority of LeT recruits are young, Pakistani males with higher than average levels of secular education.Don Rassler et al., “The Fighters of Lashkar-e-Taiba: Recruitment, Training, Deployment and Death,” Combating Terrorism Center at West Point, April 2013, https://ctc.usma.edu/app/uploads/2014/07/Fighters-of-LeT_Final.pdf. LeT has attracted new recruits through fostering an anti-corruption image. This is significant in Pakistan, where corruption is endemic throughout the country’s civil and political structures. For other recruits, LeT’s mission to alleviate Muslim suffering gives them a sense of purpose that they would not otherwise have.Sebastian Rotella, “A Terror Group That Recruits From Pakistan’s ‘Best and Brightest,’” Atlantic, April 4, 2013, http://www.theatlantic.com/international/archive/2013/04/a-terror-group-that-recruits-from-pakistans-best-and-brightest/274682/. LeT recruits heavily in Pakistan’s Punjab province, particularly within the districts of Gujranwala, Faisalabad, and Lahore, where the group spreads its message in mosques and madrassas.Don Rassler et al., “The Fighters of Lashkar-e-Taiba: Recruitment, Training, Deployment and Death,” Combating Terrorism Center at West Point, April 2013, https://ctc.usma.edu/app/uploads/2014/07/Fighters-of-LeT_Final.pdf. New recruits are also reportedly brought into the organization through familial and friendship ties with current LeT members.Stephen Tankel, “Lashkar-e-Taiba: Past Operations and Future Prospects,” New America Foundation, April 2011, https://www.newamerica.org/documents/891/lashkar-e-taiba. LeT is able to reach a broader audience through the group’s website and through an online magazine called “Wyeth.”Rajesh Ahuja, “LeT launches online magazine, says 2018 will be tough for security forces,” Hindustan Times, June 23, 2018, https://www.hindustantimes.com/india-news/let-launches-online-magazine-says-2018-will-be-tough-for-security-forces/story-TbXeaW5jh15GYqsRNikjdL.html. The group also has a number of print publications, including Al-Dawa (a monthly journal), Gazwa (an Urdu weekly), and the Voice of Islam (an English monthly).“Lashkar-e-Taiba,” South Asian Terrorism Portal, accessed December 4, 2018, http://www.satp.org/satporgtp/countries/india/states/jandk/terrorist_outfits/lashkar_e_toiba.htm. A study by the Combating Terrorism Center at West Point—which used biographical information about LeT members published between 1994 and 2007—found that 47 percent of LeT members had been trained in Muzaffarabad, Pakistan, and 28 percent had been trained in Afghanistan.Don Rassler et al., “The Fighters of Lashkar-e-Taiba: Recruitment, Training, Deployment and Death,” Combating Terrorism Center at West Point, April 4, 2013, https://www.ctc.usma.edu/posts/the-fighters-of-lashkar-e-taiba-recruitment-training-deployment-and-death. Most LeT fighters undergo a three-phase training program. During the first phase, called Daura-e-Aama, recruits develop running, climbing, and other basic skills.Stephen Tankel, “Storming the World Stage,” Storming the World Stage: The Story of Lashkar-e-Taiba, (Columbia University Press, 2011), pp. 2017-221, accessed November 30, 2018 via https://yaleglobal.yale.edu/storming-world-stage-story-lashkar-e-taiba. The second phase is called Daura-e-Suffa and provides religious training.Geoffrey Kambere et al., “The Financing of Lashkar-e-Taiba,” Global ECCO, accessed July 10, 2015, https://globalecco.org/ctx-v1n1/lashkar-e-taiba.The third phase, Daura-e-Khasa, provides specialty training in guerilla warfare.Geoffrey Kambere et al., “The Financing of Lashkar-e-Taiba,” Combating Terrorism Exchange 1, no. 1 (2011): 35, http://www.nps.edu/Academics/Schools/GSOIS/Departments/DA/Documents/CTX%20Vol.%201%20No.%201.pdf. Other specialized training covers maritime operations, espionage, and sabotage.Geoffrey Kambere et al., “The Financing of Lashkar-e-Taiba,” Global ECCO, accessed July 10, 2015, https://globalecco.org/ctx-v1n1/lashkar-e-taiba. July 12, 1999: LeT executes its first suicide bombing in Jammu and Kashmir.“The Evolution of a Pakistani Militant Network,” Stratfor Security Weekly, September 15, 2011, https://www.stratfor.com/weekly/20110914-evolution-pakistans-militant-networks. July 31, 1999: LeT carries out multiple suicide attacks in Jammu and Kashmir, including ones targeting Indian security forces at the border. The number of Indian soldiers killed is unknown.Navnita Chadha Beher, Demystifying Kashmir (Washington, DC: Brookings Institution Press, 2006), 159. November 3, 1999: At least three LeT gunmen kill eight Indian army personnel at a cantonment in Srinagar, the largest city in Jammu and Kashmir.Praveen Swami, “A growing toll,” Frontline 16, 24 (November 1999), https://frontline.thehindu.com/static/html/fl1624/16240390.htm. March 20, 2000: A few hours before Bill Clinton is expected to arrive in India, gunmen kill 35 Sikhs in Chattisinghpura, a village in Jammu and Kashmir. LeT is suspected to be responsible for the massacre.Barry Bearak, “A Kashmiri Mystery,” New York Times, December 31, 2000, https://www.nytimes.com/2000/12/31/magazine/a-kashmiri-mystery.html. December 22, 2000: LeT attacks Delhi’s Red Fort, an Indian army barracks, killing three.“India court confirms death penalty for Red Fort attack,” BBC News, August 10, 2011, https://www.bbc.com/news/world-south-asia-14471793. January 17, 2001: LeT attacks the Srinagar airport in Jammu and Kashmir, killing five Indians.Significant Terrorist Incidents, 1961-2003: A Brief Chronology, Department of State Archives, accessed July 7, 2015, http://2001-2009.state.gov/r/pa/ho/pubs/fs/5902.htm; “Lashkar-e-Taiba (Army of the Pure) (aka Lashkar e-Tayyiba, Lashkar e-Toiba; Lashkar-i-Taiba),” Council on Foreign Relations, last modified January 14, 2010, http://www.cfr.org/pakistan/lashkar-e-taiba-army-pure-aka-lashkar-e-tayyiba-lashkar-e-toiba-lashkar--taiba/p17882. December 13, 2001: Gunmen attack India’s parliament in New Delhi in coordination with the Pakistan-based terrorist group Jaish-e-Mohammed. Nine are killed and 18 are injured.“Lashkar-e-Taiba,” Anti-Defamation League, accessed May 22, 2015, http://archive.adl.org/terrorism/symbols/lashkaretaiba.html. India responds by sending 700,000 troops to its border with Pakistan.Jayshree Bajoria, “Lashkar-e-Taiba (Army of the Pure) (aka Lashkar e-Tayyiba, Lashkar e-Toiba; Lashkar-i-Taiba),” Council on Foreign Relations, last modified January 14, 2010, http://www.cfr.org/pakistan/lashkar-e-taiba-army-pure-aka-lashkar-e-tayyiba-lashkar-e-toiba-lashkar--taiba/p17882. May 14, 2002: LeT allegedly attacks an Indian army base in Kaluchak, killing 30.Luv Puri, “30 killed in Jammu suicide attack,” The Hindu, May 15, 2002, https://www.thehindu.com/2002/05/15/stories/2002051503030100.htm. September 24, 2002: LeT is allegedly responsible for raiding the Akshardam Temple in Gujarat, killing 33 and injuring 70.“Lashkar-e-Taiba,” Anti-Defamation League, accessed May 22, 2015, http://archive.adl.org/terrorism/symbols/lashkaretaiba.html. August 25, 2003: LeT attacks the Gateway of India and Zaveri Bazaar in Mumbai with the help of local Indian Islamist group, the Students Islamic Movement of India (SIMI), killing 52 and wounding more than 200.V.S. Subrahmanian et al., Indian Mujahideen: Computational Analysis and Public Policy (Cham, Switzerland: Springer International Publishing, 2013), 91. October 28, 2005: LeT attacks the Indian Institute of Science campus in Bangalore, killing one. “Lashkar-e-Taiba,” South Asian Terrorism Portal, accessed April 13, http://www.satp.org/satporgtp/countries/india/states/jandk/terrorist_outfits/lashkar_e_toiba.htm. October 29, 2005: Three coordinated LeT bombings in New Delhi kill 63 and injure more than 200.Justin Huggler, “Delhi ‘bombing mastermind’ is Kashmiri militant, say police,” Independent (London), November 14, 2005, http://www.independent.co.uk/news/world/asia/delhi-bombing-mastermind-is-kashmiri-militant-say-police-515168.html. March 7, 2006: LeT attacks a Hindu temple and a train station in Varanasi, India, killing 21 and injuring 62 others.“Mumbai bombs: ‘Pencil timers found’,” CNN, July 12, 2006, http://www.cnn.com/2006/WORLD/asiapcf/07/12/mumbai.blasts/; “Lashkar-e-Tayyiba,” The Mackenzie Institute, January 15, 2016, http://mackenzieinstitute.com/lashkar-e-tayyiba-lt/. July 11, 2006: LeT works with local Indian Islamist organization, Lashkar-e-Qahhar, to bomb multiple commuter trains in Mumbai, killing more than 209 people and injuring 714.V.S. Subrahmanian et al., Indian Mujahideen: Computational Analysis and Public Policy (Cham, Switzerland: Springer International Publishing, 2013), 91. August 25, 2007: LeT attacks an amusement park in Hyderabad, India, killing at least 40 individuals.“Timeline: Major Militant Attacks in India,” Reuters, July 14, 2011, http://www.reuters.com/article/2011/07/14/us-timeline-india-idUSTRE76C4G620110714. November 26–29, 2008: LeT kills more than 160 individuals and injures approximately 300 others in a series of attacks in Mumbai. The attacks target a railway station, a popular restaurant, a hospital, two hotels, and a Jewish center.Bruce Riedel, “Modeled on Mumbai? Why the 2008 India attack is the best way to understand Paris,” Brookings, November 14, 2015, https://www.brookings.edu/blog/markaz/2015/11/14/modeled-on-mumbai-why-the-2008-india-attack-is-the-best-way-to-understand-paris/; “Mumbai Terror Attacks Fast Facts,” CNN, November 12, 2018, https://www.cnn.com/2013/09/18/world/asia/mumbai-terror-attacks/index.html. February 13, 2010: LeT kills nine in the bombing of a German bakery in Pune, India.Kukil Bora, “Major Terrorist Attacks in India Over the Last 20 Years: A Timeline,” International Business Times, December 13 2014, http://www.ibtimes.com/major-terrorist-attacks-india-over-last-20-years-timeline-1752731. May 27, 2011: LeT attacks a home in Kupwara, India, killing two.“Country Reports on Terrorism 2011,” U.S. Department of State, July 2012, 7, 244, http://www.state.gov/documents/organization/195768.pdf. April 18, 2013: Two LeT militants attack a village in Jammu and Kashmir. Indian forces kill one of the militants, Shabir Ahmad Sheikh, also known as “Sufiyan.”“Incidents and Statements involving Lashkar-e-Taiba : 2013,” South Asian Terrorism Portal, accessed January 28, 2016, http://www.satp.org/satporgtp/countries/india/states/jandk/terrorist_outfits/lashkar_e_toiba_lt2013.htm. May 23, 2014: Two gunmen open fire on the Indian Consulate in Herat, Afghanistan. The attack is linked to LeT.“Indian consulate attacked in Afghanistan,” Guardian, May 23, 2014, https://www.theguardian.com/world/2014/may/23/indian-consulate-attacked-in-afghanistan; “Amendments to the Terrorist Designations of Lashkar-e-Tayyiba,” U.S. Department of State, June 25, 2014, https://www.state.gov/j/ct/rls/other/des/266553.htm. Mir Ehsan, “Top Lashkar Commander Abu Qasim, who plotted Udhampur attack shot,” Indian Express (New Delhi), December 25, 2015, http://indianexpress.com/article/india/india-news-india/top-let-commander-and-udhampur-attack-mastermind-abu-qasim-killed-in-encounter/. September 14, 2015: LeT is one of two militant groups suspected to be behind the murders of three youths whose bodies are found in Jammu and Kashmir. The murders are believed to be part of the ongoing rivalry between militant groups in the disputed Kashmir region between India and Pakistan.Fayaz Wani, “Bullet-Riddled Bodies of 3 Youth Found in Kashmir,” New Indian Express (Delhi), September 15, 2015, http://www.newindianexpress.com/nation/Bullet-riddled-Bodies-of-3-Youth-Found-in-Kashmir/2015/09/15/article3028483.ece. December 20, 2001: The U.S. Department of the Treasury designated “Hafiz Muhammad Saeed” as a Specially Designated Global Terrorist.“Individuals and Entities Designated by the State Department under E.O. 13224,” U.S. Department of State, December 20, 2001, http://www.state.gov/j/ct/rls/other/des/143210.htm. December 26, 2001: The U.S. Department of the Treasury designated “Lashkar-e-Taiba” as a Foreign Terrorist Organization.“Foreign Terrorist Organizations,” U.S. Department of State, December 26, 2001, http://www.state.gov/documents/organization/195768.pdf. April 28, 2006: The U.S. Department of State designated “Jamaat-ud-Dawa” (JuD) and “Idara Khidmat-e-Khalq” (IKK) as aliases for LeT on the Foreign Terrorist Organization list.“Addition of Aliases Jamaat-Ud-Dawa and Idara Khidmat-E-Khalq to the Specially Designated Global Terrorist Designation of Lashkhar-E-Tayyiba,” U.S. Department of State, April 28, 2006, http://2001-2009.state.gov/r/pa/prs/ps/2006/65401.htm. November 24, 2010: The U.S. Department of the Treasury designated “Falah-i-Insaniat Foundation” (FIF) as an alias of LeT.“Secretary of State’s Terrorist Designation of Falah-i-Insaniat Foundation,” U.S. Department of State, November 24, 2010, https://www.state.gov/j/ct/rls/other/des/266648.htm. April 2, 2018: The U.S. Department of State designated Milli Muslim League (MML) and Tehreek-e-Azadi-e Kashmir (TAJK) as aliases of LeT.“Amendments to the Terrorist Designation of Lashkar e-Tayyiba,” U.S. Department of State, April 2, 2018, https://www.state.gov/r/pa/prs/ps/2018/04/280125.htm. January 12, 2002: Pakistan banned Lashkar–e-Taiba as a terrorist group.Ashley J. Tellis, “The Menace That Is Lashkar-e-Taiba,” Carnegie Endowment for International Peace, March 2012, http://carnegieendowment.org/files/LeT_menace.pdf. January 1, 2018: Pakistan banned Jamaat-ud-Dawa and the Falah-i-Insaniat Foundation from collecting donations. The ban was later lifted by the Supreme Court of Pakistan on September 12, 2018.“SC permits Hafiz Saeed’s Jamaat-ud-Dawa to run charity operations,” Geo News, September 12, 2018, https://www.geo.tv/latest/210949-sc-permits-hafiz-saeeds-jamaat-ud-dawa-to-run-charity-operations. May 2005: The U.N. Security Council listed “Lashkar-e-Taiba” as a “Banned Foreign Terrorist Organization” under U.N. Security Council Resolution 1267.“U.N. : Lashkar-e-Taiba Banned,” Stratfor Global Intelligence Analysis, May 6, 2005, https://www.stratfor.com/analysis/un-lashkar-e-taiba-banned. December 10, 2008: The U.N. Security Council added “Hafiz Muhammad Saeed” to its al-Qaeda sanctions list under U.N. Security Council Resolution 1267.“Rewards for Justice - Lashkar-e-Tayyiba Leaders Reward Offers,” U.S. Department of State, April 3, 2012, http://www.state.gov/r/pa/prs/ps/2012/04/187342.htm. LeT has had long-standing relationships with al-Qaeda members since the 1980s. In August 1998, LeT fighters were killed when training camps run by Osama bin Laden in Afghanistan were hit by U.S. cruise missiles.Protecting the Homeland against Mumbai-Style Attacks and the Threat from Lashkar-e-Taiba, Before the House Committee on Homeland Security, Subcommittee on Counterterrorism and Intelligence, 113th Cong. (2013) (statement of Jonah Blank, Senior Political Analyst, RAND Corporation), http://docs.house.gov/meetings/HM/HM05/20130612/100964/HHRG-113-HM05-Wstate-BlankJ-20130612.pdf. After 9/11 and the U.S. invasion of Afghanistan, LeT provided safe haven to al-Qaeda militants, including senior AQ member Abu Zubaydah, who was eventually captured by the Pakistani government in 2002.Gerry J. Gilmore, “Rumsfeld Confirms Capture of Senior Al Qaeda Leader,” Department of Defense News, April 2, 2002, http://www.defense.gov/news/newsarticle.aspx?id=44203. LeT has also reportedly provided training to al-Qaeda militants and individuals inspired by al-Qaeda, including attempted American Airlines “shoe bomber” Richard Reid and 2005 London subway bombers Mohammad Sidique Khan and Shehzad Tanweer.“Lashkar-e Taiba,” American Foreign Policy Council’s World Almanac of Islamism, April 11, 2018, http://almanac.afpc.org/lashkar-e-taiba. In addition, LeT member David Headley reportedly conspired with AQ operative Ilyas Kashmiri in 2009 to plan attacks on a Danish newspapers and other targets in Copenhagen.Protecting the Homeland against Mumbai-Style Attacks and the Threat from Lashkar-e-Taiba, Before the House Committee on Homeland Security, Subcommittee on Counterterrorism and Intelligence, 113th Cong. (2013) (statement of Jonah Blank, Senior Political Analyst, RAND Corporation), http://docs.house.gov/meetings/HM/HM05/20130612/100964/HHRG-113-HM05-Wstate-BlankJ-20130612.pdf. In the 1980s, LeT’s predecessor, Markaz-ad-Dawa-wal-Irshad (MDI), fought alongside the Taliban in the Soviet-Afghan War.Animesh Roul, “Jamaat-ud Daawa: Into the Mainstream,” CTC Sentinel, 8, 4 (April 2015): p. 23, https://ctc.usma.edu/app/uploads/2015/04/CTCSentinel-Vol8Issue48.pdf. After 9/11, LeT provided safe haven to jihadists from the Afghan Taliban in Pakistan.Protecting the Homeland against Mumbai-Style Attacks and the Threat from Lashkar-e-Taiba, Before the House Committee on Homeland Security, Subcommittee on Counterterrorism and Intelligence, 113th Cong. (2013) (statement of Jonah Blank, Senior Political Analyst, RAND Corporation), http://docs.house.gov/meetings/HM/HM05/20130612/100964/HHRG-113-HM05-Wstate-BlankJ-20130612.pdf. LeT is reportedly well-networked with Islamist groups in Central Asia, such as the Islamic Movement of Uzbekistan.Ashley J. Tellis, “The Menace That Is Lashkar-e-Taiba,” Carnegie Endowment for International Peace, March 2012, http://carnegieendowment.org/files/LeT_menace.pdf. LeT has coordinated attacks with local Islamist groups in India and Sri Lanka.Ashley J. Tellis, “The Menace That Is Lashkar-e-Taiba,” Carnegie Endowment for International Peace, March 2012, http://carnegieendowment.org/files/LeT_menace.pdf. “[Muslims] Come to us. We will teach you the meaning of jihad…. The time to fight has come.”Bill Roggio, “‘We Do Jihad,’ Says Lashkar-e-Taiba Emir Hafiz Saeed,” Long War Journal, April 7, 2012, http://www.longwarjournal.org/archives/2012/04/we_do_jihad_lashkar.php. “Year 2018 would be tough for [the] Indian Army…. Our freedom struggle is heading towards conclusion. India has already lost the war and is breathing its last.”Bharti Jain, “Out on bail, 26/11 Mumbai attacks mastermind Zaki-ur Rehman Lakhvi raising funds,” Times of India, May 10, 2018, https://timesofindia.indiatimes.com/india/out-on-bail-lakhvi-raising-funds/articleshow/64102389.cms. “This is the same jihad which caused the USSR to break [in Afghanistan] and now America is failing because of it. Analysts and journalists don’t realize why America is failing, the only reason is jihad.”Bill Roggio, “We do jihad,’ says Lashkar-e-Taiba emir Hafiz Saeed,” The Long War Journal, April 7th, 2012, http://www.longwarjournal.org/archives/2012/04/we_do_jihad_lashkar.php. “I want to tell America we will continue our peaceful struggle," said Saeed. "Life and death is in the hands of God, not in the hands of America. Life and death is in the hands of God, not in the hands of America.” Sebastian Abbot, Munir Ahmed, “Hafiz Mohammed Saeed, Pakistani Militant Leader, Mocks U.S. Bounty,” Associated Press, April 4, 2012, http://www.huffingtonpost.com/2012/04/04/hafiz-mohammed-saeed-mocks-bounty_n_1402389.html. “I want to tell America we will continue our peaceful struggle. Life and death is in the hands of God, not in the hands of America.”Sebastian Abbot and Munir Ahmed, “Hafiz Mohammed Saeed, Pakistani Militant Leader, Mocks U.S. Bounty,” Associated Press, April 4, 2012, http://www.huffingtonpost.com/2012/04/04/hafiz-mohammed-saeed-mocks-bounty_n_1402389.html. “There are many parties in Pakistan, but America has only sent a message to Jamaat-ud-Dawa, because we do jihad. They [the United States] are even scared of my name.”Bill Roggio, “‘We Do Jihad,’ Says Lashkar-e-Taiba Emir Hafiz Saeed,” Long War Journal, April 7, 2012, http://www.longwarjournal.org/archives/2012/04/we_do_jihad_lashkar.php. “[Muslims] Come to us. We will teach you the meaning of jihad… The time to fight has come.”Bill Roggio, “‘We Do Jihad,’ Says Lashkar-e-Taiba Emir Hafiz Saeed,” Long War Journal, April 7, 2012, http://www.longwarjournal.org/archives/2012/04/we_do_jihad_lashkar.php. “Osama bin Laden was a great person who awakened the Muslim world… Martyrdoms are not losses, but are a matter of pride for Muslims.”Bill Roggio, “‘We Do Jihad,’ Says Lashkar-e-Taiba Emir Hafiz Saeed,” Long War Journal, April 7, 2012, http://www.longwarjournal.org/archives/2012/04/we_do_jihad_lashkar.php. LeT is one of Pakistan’s largest militant Islamist organizations. The group has instigated terrorist attacks in Kashmir and collaborated with other militant groups, such as the Taliban and al-Qaeda. It is believed to be the only Islamist militant group in Pakistan to have expanded since 9/11.